Inwood Residences that is surrounded by lush greenery. LIVING in Kuala Lumpur can be challenging. Apartments are getting increasingly expensive, buildings are closely packed together, especially in the central business district. And lush green sights from your apartment are becoming rare. While the city’s urban landscape makes good fodder for the #residensity posts on Instagram, it doesn’t indicate a peaceful lifestyle or excitement for property owners and tenants. Securing a spacious home in a quiet area surrounded by greenery is the ultimate fantasy, especially when you can breathe in lots of fresh air. In Pantai Sentral Park, breathing in the fresh air of the forest within the vicinity of your own home is both calming and satisfying, and is something the owners look forward to. IJM Land Bhd, the developer of Pantai Sentral Park, has worked out the masterplan for the 23.4ha township so that the residents, business owners and workers get to enjoy the benefits of living near to nature. The developer believes that living surrounded by blocks of buildings with minimal greenery can affect people’s spirit. So Pantai Sentral Park is very special as it’s built near a 80.4ha forest reserve situated right next to the township. One gets to enjoys an abundant amount of benefits of living next to a forest, said IJM Land. “Firstly, one gets to breathe air that has been filtered by nature’s God-given air filter — the trees,” it said. According to a research, one acre of trees can absorb 26,000 miles of carbon dioxide from car emissions over one year’s time. Evidently, trees help to trap pollutants that can damage human lungs. Governments worldwide have realised how important it is to have trees and greenery, and this can be seen through initiatives by the current shift of infrastructure in the United States and India. 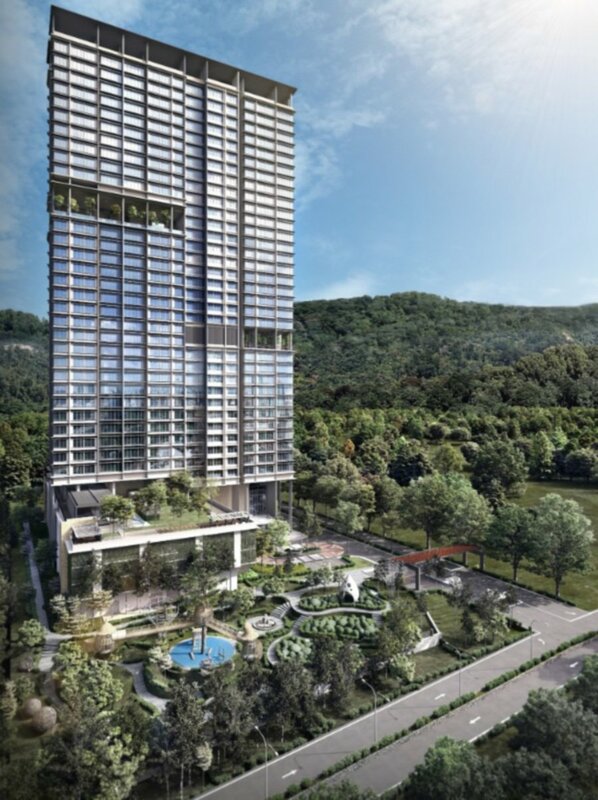 “In Pantai Sentral Park, one can live with peace of mind as this will no longer be a worry. The township is adhering to global changes in creating more living spaces near green infrastructures. Living next to a forest reserve makes a difference as it serves as a natural air-conditioning and mood enhancer, said IJM Land. Research has found that large shady trees can reduce temperatures by 3 to 5 degrees Celsius. This was proven with the finding of high concentration of negative ions in mountain forests, which can help to reduce feelings of stress and exhaustion. Above all, IJM Land said the cherry on top of the icing is the forest’s function as nature’s noise buster. It said due to the surrounding forest, noise from the urban environment would be absorbed and blocked, and this would help protect residents from the noise that can affect human health and productivity.